Robert Olson prepares the Colorado MahlerFest Orchestra for the festival week Main Events, two performances of Mahler’s 6th Symphony and Mahler’s 5 Ruckert Lieder. May 17 and 18, 2014. This entry was posted in MahlerFest, Ron Nadel, Uncategorized and tagged boulder CO, Classical music, Gustav Mahler, Mahler, Mahler Symphony No. 6, mahlerfest, Robert Olson. Bookmark the permalink. « Mahler’s Symphony No. 6: “A Hero’s Life”? 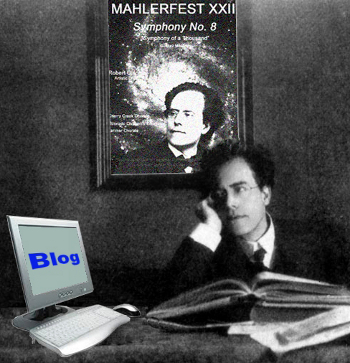 What is it about Mahler’s Seventh Symphony?